Throughout its 125-year history, National Geographic has published iconic photographs of the American West that both support and defy romantic notions of the land and its peoples. 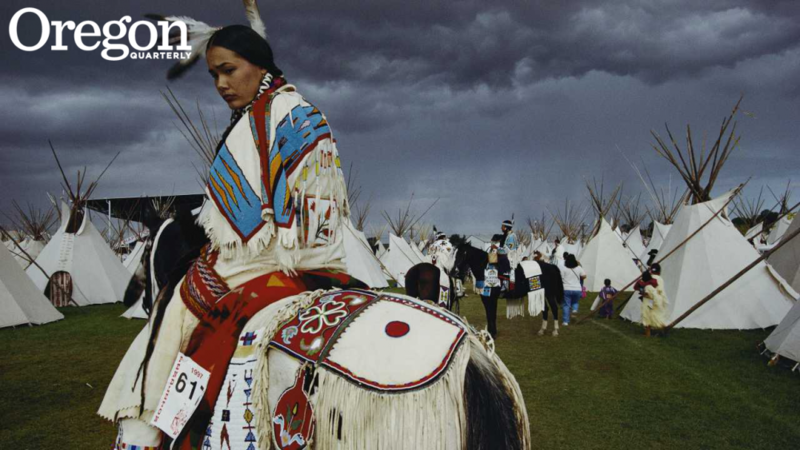 Around 70 large-format images from the magazine's vast archive are presented in the exhibit "National Geographic Greatest Photographs of the American West," on display at the University of Oregon's Jordan Schnitzer Museum of Art through the end of the year. Featured photographers include Sam Abell, Ansel Adams, William Albert Allard, Edward S. Curtis, David Alan Harvey, William Henry Jackson, Sarah Leen, and Joe Sartore, among many others. The exhibition is made possible with the generous support of the Coeta and Donald Barker Special Exhibitions Endowment, the Harold and Arlene Schnitzer Care Foundation, and museum members.